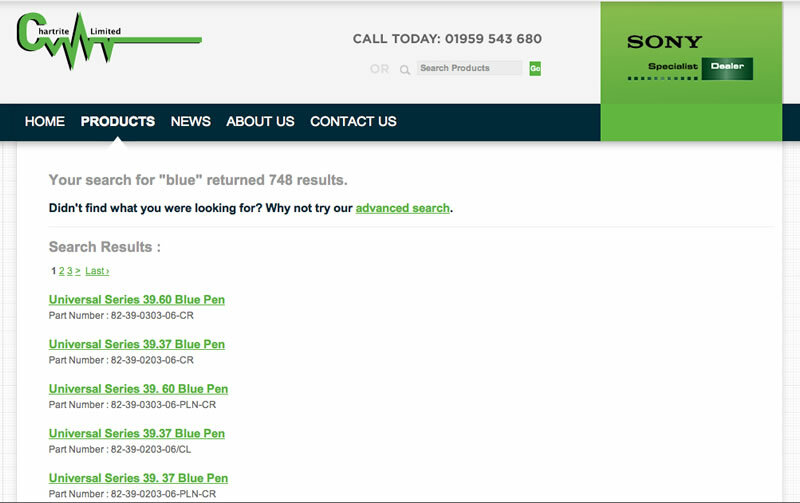 Chartrite have a list of over 50,000 products that they wanted to put on their website and enable product searching. DunlopWeb specified how they thought the product search system should work and asked me to develop it. I reviewed the specification, suggested some changes and enhancements and decided to use a PHP MVC framework (Model View Controller) called Codeigniter to develop the software. You can see the new search system in action here. This site is in fact an integration of WordPress and Codeigniter in the same website. The rest of the Website’s content is editable using WordPress as a CMS. This was a very interesting project to work on and the client is pleased with the new product search functionality which is now live on thier website.